Successfully Added Wrist Watch Walkie Talkie - Internal VOX, LCD Display, 600mAh Battery, 2.5KM Range, Multi Channel, Auto Squelch to your Shopping Cart. This pair of lightweight watches do everything you would expect of a digital wrist watch as well as having a cool built in walkie talkie function so you can communicate without running up the phone bill. With a communication range of around 2.5KM this wrist watch walkie talkie allows you to keep in touch anywhere. 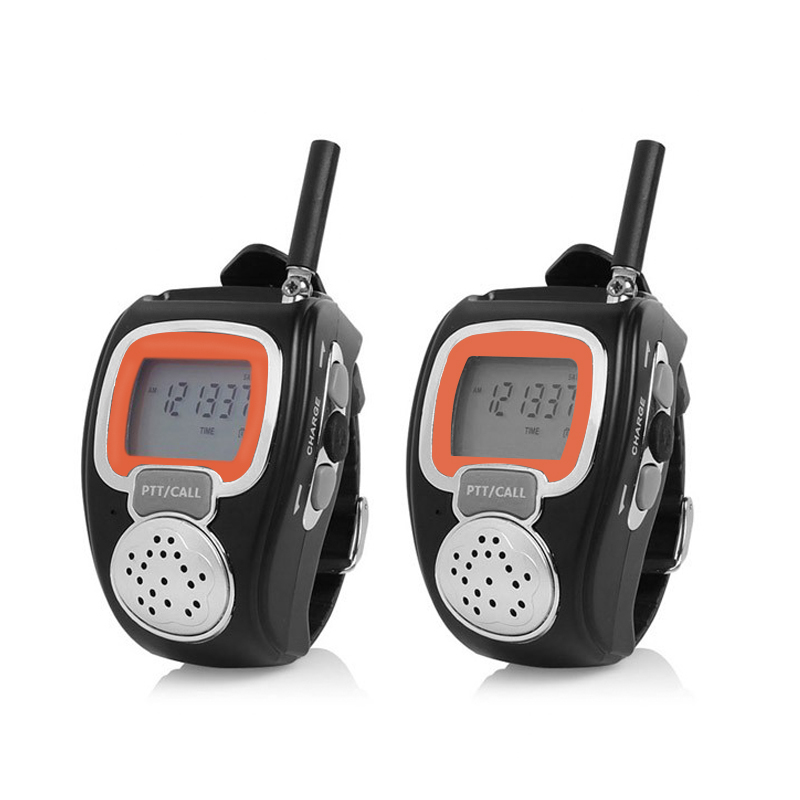 Whether you’re hanging out at the mall or hiking the Appalachian Trail take this walkie talkie along for a great time. Featuring a revolutionary style in two way communication this walkie talkie is worn on your wrist just like a watch. With internal VOX, auto channel scan and multi channel support its easy and convenient to use. An earphone jack and headset allows for hands free communications and with one to one as well as one to many functions you can broadcast to several users at a time or talk directly to the receiver. A built in battery brings you up to 24hours of standby or 3 hours of talk time. This is the ideal way to stay connected to friends and family when you go out to the park, shopping, sporting events, camping and virtually any other indoor or outdoor activity. It can work even where there is no cellular phone reception or you an take them with you when you jet off on your vacation and enjoy free communication that will save you a fortune in call charges. 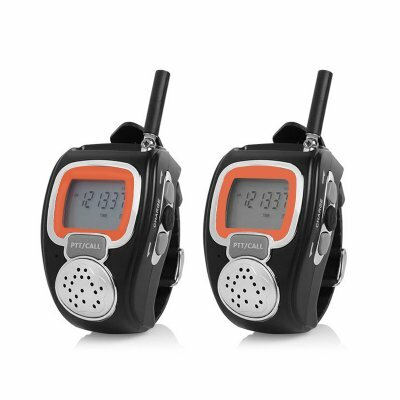 These Wrist Watch Walkie Talkies comes with a 12 months warranty. Brought to you by the leader in electronic devices as well as wholesale security and outdoor gadgets, Chinavasion..